Here is a tennis ball you can't miss - our 6" round tennis ball car magnet. Purchase our Magnetic Tennis Ball Car Magnets, or we can make Custom Tennis Ball Car Magnets for your team or school too. This 6” magnetic Tennis Ball is manufactured and printed in the USA. We print on premium quality, super-thick (.030) magnetic material with top quality, UV protected inks. Be sure to remove, clean and reposition your magnet once a week or so. Proudly display this on my car. I ordered and received the tennis car magnets just as specified on web site. GREAT price and service. 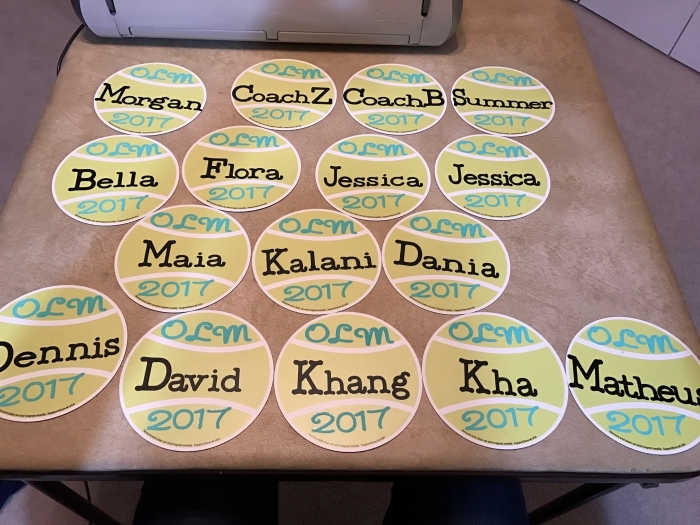 I used my cutting machine and cut names from my daughters tennis team to personalized. They put them on their lockers at school. 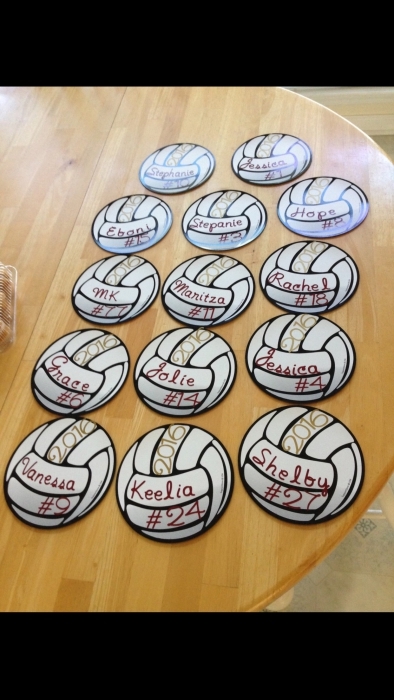 I've also bought the volleyball magnets and did the same thing. The magnets look GREAT! Very good quality. Thank you.